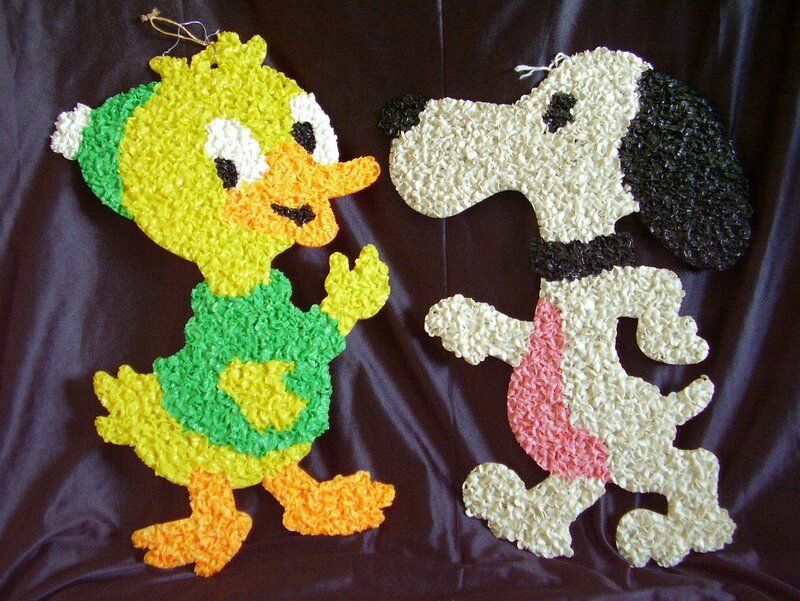 Vintage melted plastic popcorn decorations.This lot of 2 contains one duck and one Snoopy. Both in good vintage used condition. 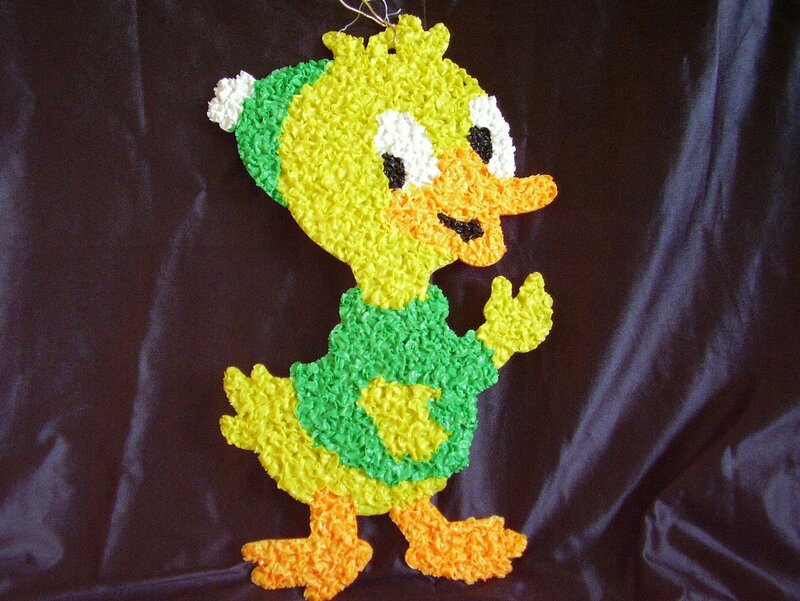 Vintage melted plastic popcorn decorations.This lot of 2 contains one duck and one Snoopy. Both in good vintage used condition. Duckling measures 19 1/2 inches tall x 12 inches wide. 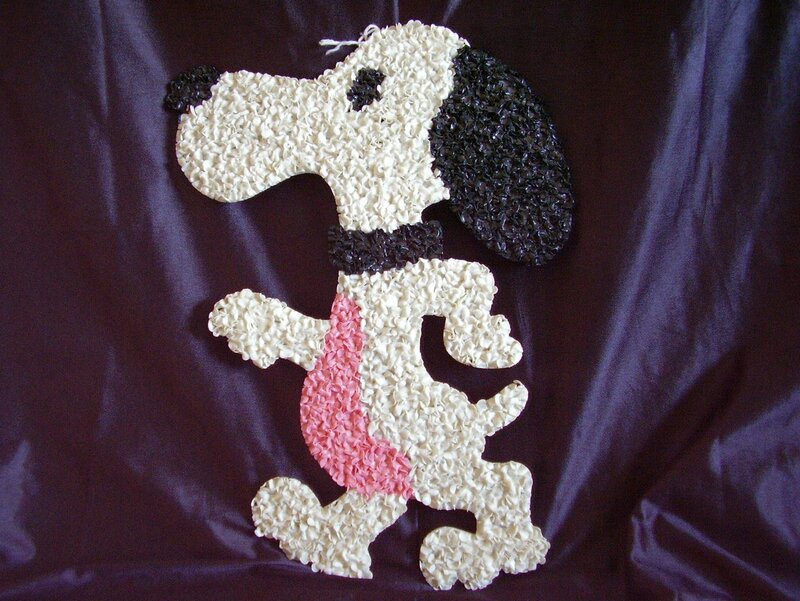 Snoopy is 18 inches tall x 13 inches wide. These colorful Christmas decorations are made of bits of melted plastic giving them a unique texture that resembles popcorn. Very popular in the 50s and 60s, there were many variations, including Santas, angels, candles and snowmen. They shout retro where ever you use them.